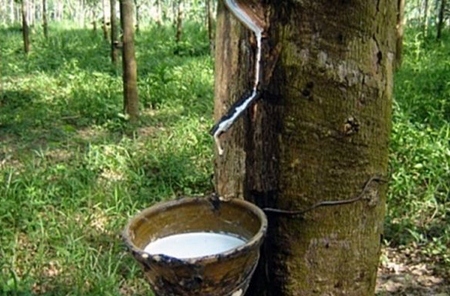 Seven state agencies and private firms will jointly set up a rubber futures fund with an initial investment of Bt210 million to buy at least 42 billion tonnes of the agricultural commodity in July, according to a deputy commerce minister. Yuttapong Charasathien said each of the seven parties will contribute Bt30 million to set up the fund, which should be engaged in 300-400 buying/selling transactions per day. The fund will boost investors’ confidence in rubber trading and eventually promote Thailand as a rubber trading and price-control hub, he said. Thailand produces 3.5 million tonnes of rubber each year and a price increase of only Bt1 per kg will increase rubber planters’ revenue by Bt35 billion, he said. Yuttapong said the Agricultural Futures Exchange of Thailand (AFET) has officially agreed to the proposed fund which will be joined by the state-owned Rubber Estate Organization, the International Rubber Conference Organization, Thai Hua Rubber Co, Sri Trang Agro-Industry Co, Thai Rubber Latex Corporation (Thailand), Southland Rubber Co and Von Bundit Co. He predicted rubber prices would be adjusted to Bt110 per kg after the launch of the fund in July.